(CBS News) March 24th of each year is recognized as World Tuberculosis Day. The date commemorates when a scientist first discovered the bacterium Mycobacterium tuberculosis that causes the disease. The event is a way spread awareness about the threat that tuberculosis (TB) still presents in countries around the world and encourage efforts to stop the continuous spread of the curable disease. According to the World Health Organization (WHO), 8.8 million people contracted TB in 2010, with 1.4 million eventually dying from it. Over 95 percent of TB deaths occur in low and middle-income countries. "TB, like many diseases, disproportionally affects the poor. What makes TB dangerous is if you're on treatment, and you don't stay on treatment and finish your full course of medication - which for the regular form can be 6 months and for the drug-resistant strains up to 2 years - you can potentially develop a multidrug resistant TB or pass it on to other people," Steve Neri, the Africa regional director for Project HOPE, told HealthPop. Project HOPE (Health Opportunities for People Everywhere) is a non-governmental organization (NGO) that provides land-based medical training and health education programs in more than 35 countries, addressing issues from providing aid to Japanese tsunami victims to delivering medical supplies to Uzbekistan. One of the biggest TB related problems NGOs like Project HOPE are facing is that it often goes untreated, especially in areas with a high prevalence of HIV and AIDS. Because often individuals with HIV contract TB - the WHO estimates it causes 25 percent of all deaths for HIV-positive individuals - many people wrongly assume that the symptoms of TB mean they have HIV. They then think they have an incurable disease and do not seek treatment. "We try to help the community to understand that one's curable, one isn't, one is a virus, one isn't," Neri explained. "We want people to understand you do have the sings of TB, you need to get tested. If it is positive, we get you treated because TB is curable." Namibia, where Neri is based, has a very high co-infective rate of HIV and tuberculosis, about 55 percent of cases, compared to a worldwide average of 20 percent, according to Neri. Another problem HIV poses is it can often make it challenging to properly diagnose TB victims. Especially in areas where available technology is often 100 years old, it can be difficult to determine whether the person has TB and what form they have from a sample of phlegm smeared on a slide and a basic microscope. What makes it worse is that individuals with HIV sometimes don't have the bacteria associated with TB show up on their slides, leading to a wrong diagnosis that they are disease free. One of Neri's programs oversees TB education, diagnosis and treatment in Malawi and Namibia in conjunction with the U.S. Agency for International Development (USAID), TB Reach and numerous Malawi governmental organizations including the Malawi Ministry of Heath. 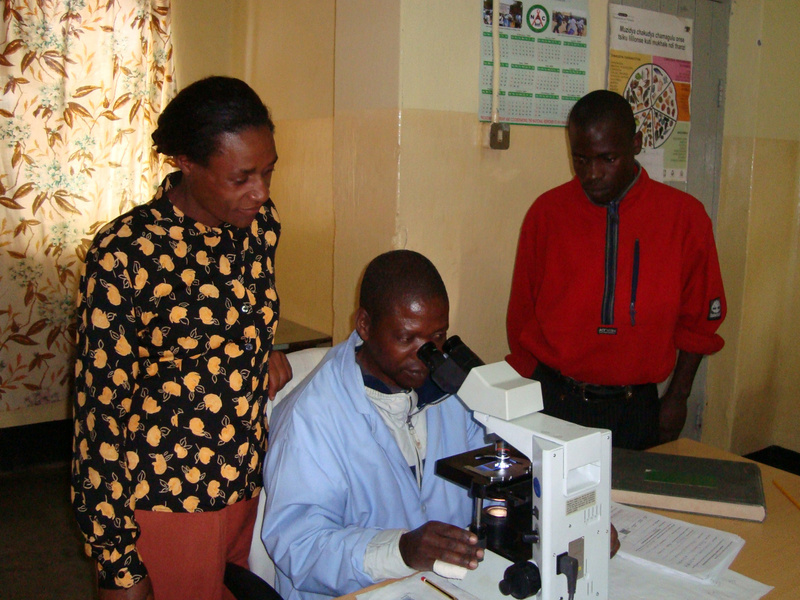 The World Health Organization (WHO) provides technical expertise on the project. In addition to providing screening services and helping people understand if they are at risk (for example, getting family members tested if someone in their household contracts TB), they also make sure that people can get the right treatment they need and make appointments. This can be especially important for countries like Namibia, which has very few roads to outlying communities and a limited number of clinics. Another way these groups are working to treat TB worldwide is bringing new, more accurate diagnosis technology to the area. In Malawi, they have begun to use the GeneXpert, a WHO-endorsed, real-time molecular diagnostic test can identify tuberculosis bacterium and whether or not it's resistant to traditional TB drug treatments simultaneously in about 100 minutes. One of the benefits is that it can detect TB in HIV positive individuals better than the phlegm sample and slide method can so doctors can get them proper treatment. Neri believes it is technology and efforts like these that help him remember why he became a doctor in the first place: to give equal access to people no matter where they live. "People talk about health as a human right, and there are a lot of us who believe that is the case," Neri said. "We're using the latest technology to get the right diagnosis. That's access, that's where it's at."